Over the course of the last ~12 months, we've been very busy adding a lot of features on or localization platform but you probably haven't heard about it without official announcements along the way. So, I'll try to change that in this post and give a brief overview of all the latest changes. To make the overall Applanga experience much smoother and to have the option for faster updates to the frontend, we've split the applanga web presence into 2 subdomains. At the front, we have www.applanga.com which contains all marketing and explanatory content of Applanga including the documentation and this blog all pages should load a lot faster and searching for specific features should be easier. Also we've added dedicated subpages for iOS, Android and Unity as well as a What's New? section with our changelogs(iOS, Android, Unity) and general product updates around all our localization features. 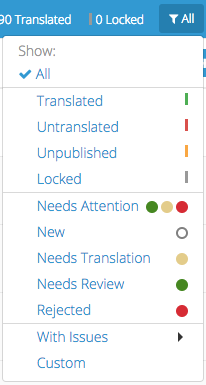 And then we have our dashboard reachable via dashboard.applanga.com where you can setup and manage your apps and translations. In addition to filter strings by searching for their content or ID, we've added several new filter options to filter strings by their translation state or if they have localization/ translations quality issues e.g. translations that are longer then their source strings or Glossary issues. 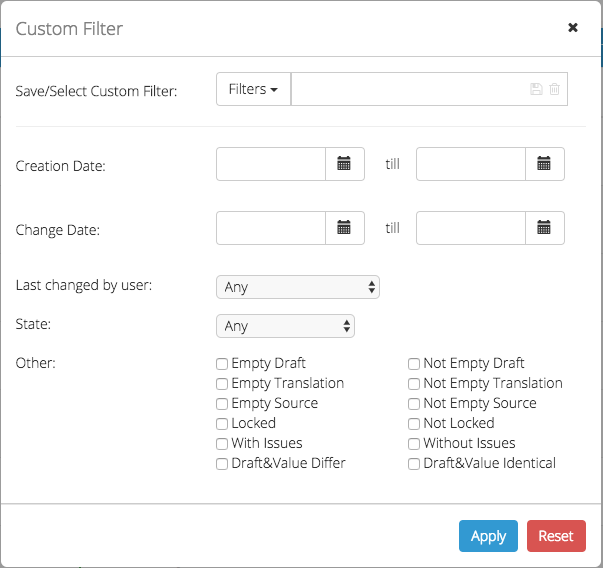 As if that wouldn't be enough we also added a custom filter sections where you can build your own filters by criterias like the update or creation date, translation state, user and many more filter criteria. You can also save and reuse filters that you need more often. The translation order menu has been overhauled to be much more intuitive and to makes it super fast to order translations no matter if its just a few strings or whole new languages directly from our network of the best app and game translators that you can find. The string detail information has been moved into a popup instead of a separate page wich makes the in-place translation workflow even more efficient. 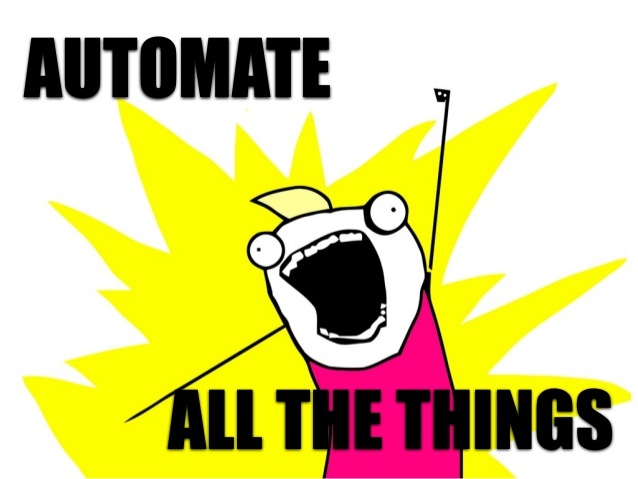 To have a more fine grained control about what strings are updated from the SDKs and when you can group strings on the dashboard, a feature which we call "Groups". We've extended that now to make it super easy to move strings from and to individual groups. Even though one of the big benefits of Applanga is the SDKs that make the use of files obsolete in most cases, sometimes file based localization workflows are still needed, e.g. to send files off to 3rd party translations tools and platforms like MemoQ or Trados. Translations can now be downloaded for single languages or as a complete bundle and we support multiple file types like iOS .string files, Android string XML files, and xliff files. For easy cross compatibility to other localization tools or to send and receive translatable content to agencies Applanga now supports Micosoft Excel as well. With our open and flexible API, developers can easily build custom integrations into any platform. On top of that, we teamed with XTM International to automatically send content from their platform into apps and games integrated with Applanga without the need for any developer involvement. We've also build integrators for Slack and Hipchat so you can receive notifications in your company chat workflows whenever string status changes happen or someone is requesting localizations. Our SDKs get updated constantly and you can read about all the minor localization related updates in the changelogs for iOS, Android and Unity but there also have been a few big changes. The Applanga Unity SDK started out as a tiny wrapper around our native iOS and Android SDK to support mobile game localization with Unity but has been changed into a fully native C# SDK that works for all types of Unity projects even for WebGL, Augmented and Virtual Reality. Our game localization features range from automatic component generation that finds and uploads strings from TextMeshes as well as UI.Text Components to runtime string update and automated screenshot generation. The iOS Framework has been changed from a static library into a dynamic framework with full bitcode support and that means you can use Applanga to localize your App Extensions, translate tvOS apps or to have your watchOS app localized. The process of upgrading the Applanga Android SDK to Android Studio 3 and the latest Gradle versions wasn't easy at all. The switch to aapt2 indeed brought a few sleepless nights for our Android Developers. To tackle this challenge, we've been looking into Android Bytecode Manipulation which is the same magic famous Android libraries like Realm or Retrolambda are using and it helped us to also automate the few last steps that still had to be done manually by developers before. 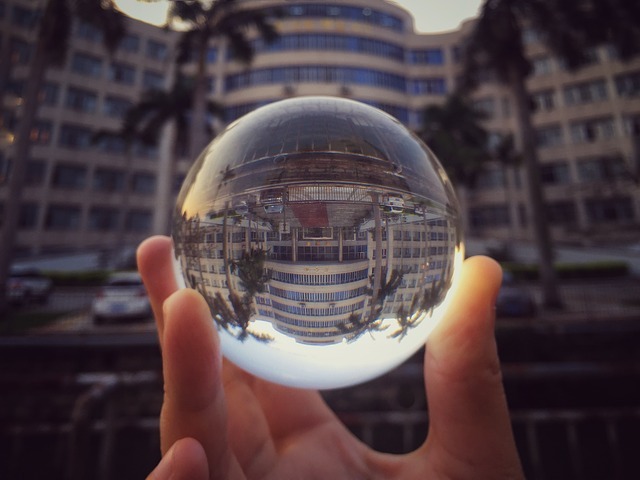 With the latest versions of our Android localization SDK you do not need to call Applanga.getString or Applanga.localizeView anymore: All TextViews and Menus are localized and updated automatically, no matter if texts are set via code or if the view is inflated from a layout file. If you are interested in using Applanga to localize your OSX app, Adobe Air Game, Xamarin or Universal Windows Platform project please contact us since we already might have some beta SDKs for you to play with. The same goes for using Applanga to translate Unreal games or other game engines. If you are an LSP/ translation agency or if you are already working with some platform that you think would work great with Applanga, feel free to contact us and we see how we can support you with that as well. If you want to localize your Appstore or Playstore descriptions and update meta data make sure to drop us a message there might be something in development exactly for you that could need someone to test it.